Complete the Ontario Secondary School Literacy Test (OSSLT)successfully. The Wales College secondary school program is based on a credit system developed by the Ontario Ministry of Education. Students must earn a total of 30 credits (one for every 110-hour course successfully completed) to obtain a high school diploma. Eighteen of the credits are compulsory. The remaining 12 credits are optional, earned in courses that the student may select from the full range of courses offered by the school. 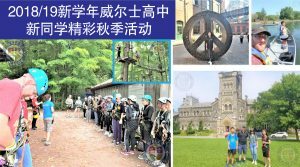 Students must also complete 40 hours of community involvement activities and must pass the Ontario Secondary School Literacy Requirement. Regular attendance and consistent completion of homework, tests, and other assigned course work is essential for a high level of achievement. In addition to the 18 compulsory credits, students have to earn 12 optional credits in courses of their choice, selected from the full list of courses available in the school. Optional credits allow students to build an educational program that suits their individual interests and meets university, college, apprenticeship, or work requirements. Students will be given information and counseling about the scope of study, required prerequisite courses (if applicable), and other relevant information for each of these courses so they will be able to make appropriate choices. All students must complete a minimum of 40 hours of unpaid community involvement activities before graduating from high school. Students will be able to choose their own community involvement activities, within guidelines that will be provided by the school. Students will be responsible for fulfilling this requirement on their own time, and for keeping a record of their activities on a form supplied by the school. Students typically take the Ontario Secondary School Literacy Test in Grade 10. A successful result is entered on the student’s transcript. Students, who have been eligible to write the OSSLT and have been unsuccessful, are eligible to fulfill the requirement through the Ontario Secondary School Literacy Course (OSSLC). The OSSLC is a comprehensive, full credit course, which is equivalent to the components of the Ontario Secondary School Literacy Test. The goal is to provide them with the necessary skills to meet the requirements of the Ontario Secondary School Diploma. The OSSLC course is designed to help students who have not had the full benefit of the new curriculum that includes a strong focus on reading and writing in the early years. Students must pass the literacy course to receive their Ontario Secondary School Diploma. The literacy test is an additional requirement to the 30 credits needed for a high school diploma. The OSSLC may count as an optional course towards the 12 required for graduation. International students, or students from outside of Ontario, will have their documents reviewed to see if they qualify for advanced standing of the required number of credits towards an OSSD. Students must have an Ontario Secondary School Diploma in order to apply to a university program. 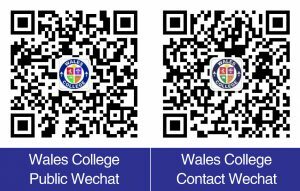 Wales College staff members work with our students to ensure that they are taking the appropriate courses to enable them to apply to the universities and university programs of their choice. Wales College invites representatives from universities to speak to our students directly about the programs offered at the various universities.